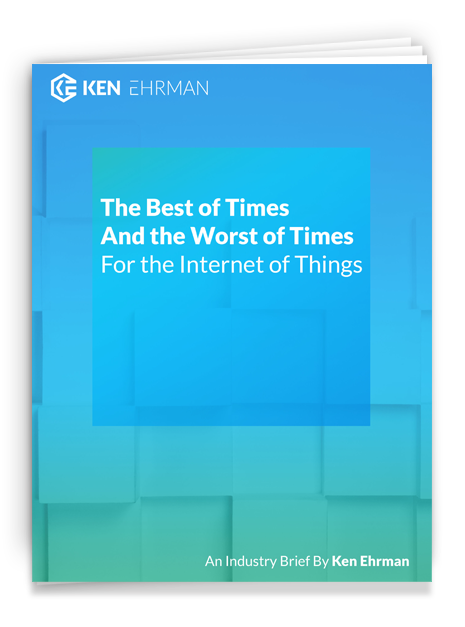 Becoming a leader in the IoT industry depends on many factors—including the strength of your solution, the fortitude required to drive growth, efficiency of your operations and supply chain, pricing strategy, partners, etc. However, establishing industry leadership depends heavily on the opportunities you create. Whether you’re trying to supply a new technology to others or looking to find technology to optimize your business’ operations, knowing how to foster the right connections between tech providers and users is extremely important to your short-term and long-term success. With years of professional connections, working relationships, and industry knowledge under their belts, consultants offer network growth, prospect lists, and valuable advice. Having the right consultant is extremely beneficial for accelerating business growth through connections. Simultaneously, consultants are also an excellent resource for those who are looking for emerging technology or new opportunities to optimize their own businesses. Because these connections are so valuable, I evaluate a potential client for Ken Ehrman Consulting as I would from an investor’s and customer’s perspective. My clients are vetted and undergo a rigorous selection process. If I intend to spend my time and open my repository of resources to a client, I need to be sure that this is a cutting-edge solution that will provide measurable and tangible benefits to the end users. As an entrepreneur in the IoT industry myself (as founder and CEO of I.D. Systems for over 20 years), any potential client of mine also needs to be a representative or developer of a compelling technology in the IoT industry. It doesn’t have to be the cheapest or the fastest solution, but it does need to be on the leading edge. If you have a technology company that can deliver value based on the IoT industry’s emerging technologies, then that’s a very important part of how I select companies to work with. Your professional network is an enormous resource and should never be underestimated as a valuable research tool. If a potential client fits within my area of expertise, I then approach my peers to gauge their interest. 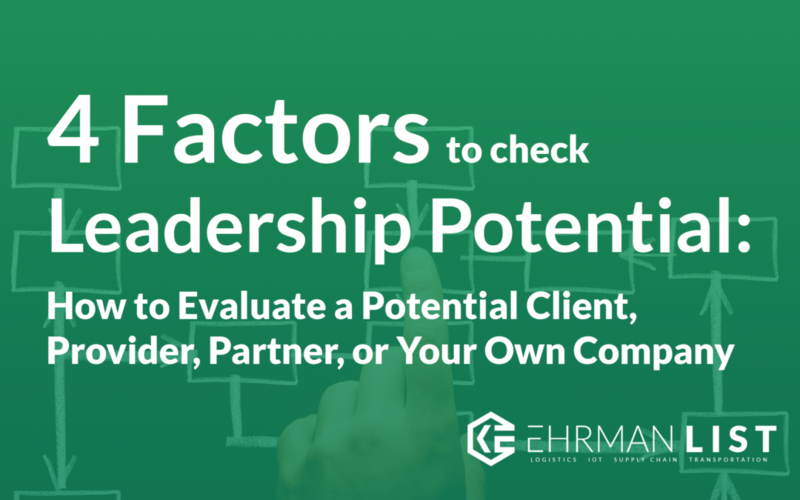 I strive to understand whether other thought leaders in my circle think that a client has the potential to create a long-term impact in their target markets. This is an important step that helps determine the value of a working relationship between both the potential client and user. If I don’t find much responsiveness within my professional circle, this is something I will weigh into my decision about whether consulting for a given company will be a valuable endeavor. Peer reactions are great indicators how the overall market may respond. First, I need to understand where the company is today so that I can help them strategize to meet their goals. For example, in a case where the company’s supply chain needs work, I would conduct an on-site observation to begin development of an action plan to implement new solutions that will drive growth in a scalable way. There are always bottlenecks to growth, and I help identify them. Second, it’s imperative to make sure that whoever I’m partnering with is up to the standards of the end users and customers. Because the relationships that I leverage on behalf of my clients are sometimes up to 20 and 30 years in the making, my priority is to protect the interests of those potential customers, as well as the integrity of my professional relationships (which range from Ford to Nestle and more. Since the end user is always my priority, I need to believe in the company’s mission and the technology’s potential. If inspiration doesn’t strike, a partnership with a given client may not be the right fit. In some cases, a company may seem like an excellent opportunity on the surface but turn out to be a poor choice due to differences in leadership style between executives and users of the tech. If a company doesn’t impress upon me that it will best serve the needs of my network of end users, then I will reconsider a partnership. Because I invest my time, resources, and personal reputation in my clients, I work with companies that have the vision and conviction to launch themselves forward. This means that I select clients with the determination to consistently aim for growth, and the passion to do whatever is needed (within budget constraints) to achieve their company’s goals. Having a selective process to evaluate potential clients and partners helps accelerate growth for a pool of excellent technology providers who have the best solutions to offer the market. It also prevents a my network from becoming fatigued (and not wanting to buy), while ensuring that the trust built over my career remains intact by only connecting other executives with technologies and companies that can deliver. These 4 factors are an excellent guide to establishing successful partnerships from all sides. 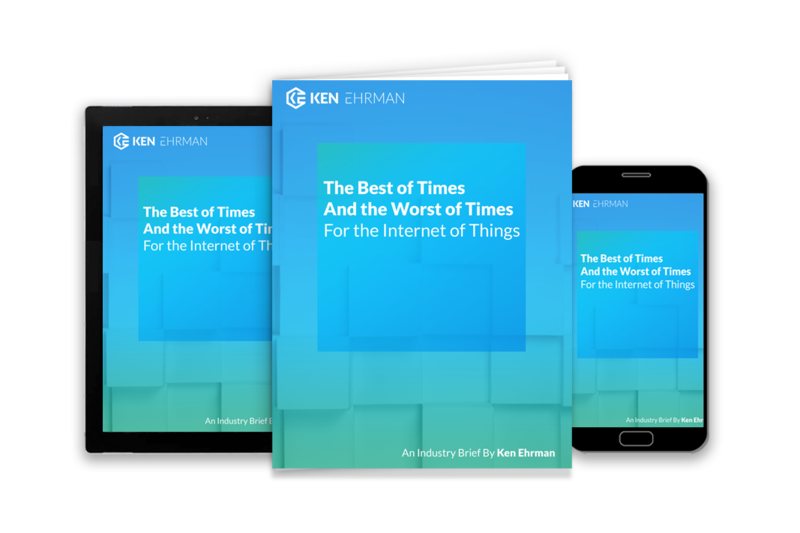 They help define criteria for technology companies to use to gauge their own market appeal, while also providing a roadmap for consultants, investors, and other businesses to more accurately partner with IoT tech solutions that are best for those needs. If you have any questions or concerns, please contact me at ken@kenehrman.com. Whether you’re looking for guidance, advisory, to connect with tech providers or industry buyers, or any of my other available services, I can provide you with the right help and connections to suit your business objectives and generate massive growth.